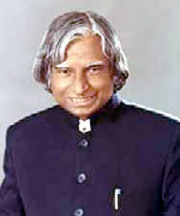 The president APJ Abdul Kalam today signed the OBC Quota bill. This marks the end of the legislative process. The ball is now in the hands of the public and the judiciary to protect the interests of the weaker sections and the right to equality of a large chunk of Indians. This blog has never idolized anyone – however fashionable it may be. Whether it is Narayan Murthy or Abdul Kalam, we must only judge men by their actions. Seven months later, he finds a bill on his table. No studies have been conducted, no data has been presented about the backwardness of castes in the OBC list, and even the creamy layer has not been excluded. Should nt he have atleast sent it back for reconsideration like the “Office for Profit Bill” ? He could have asked why the creamy layers were included – he has no caste based political constituency to worry about. PRS produces easy to understand 4-6 pages long Legislative Briefs on a range of Bills. These Briefs are sent to all MPs in both houses of Parliament, about 1200 NGOs across the country, and the top 500 companies. We also email our Briefs to more than 600 people in the media. PRS Legislative Research is incubated by the Centre for Policy Research. I found out about this group via an article by its Director C.V.Madhukar that appeared in the Indian Express on Jan 3 , 2007. The article talks about the lack of debate and the “voice vote” culture. Even such monumental bills having deep social impact such as the OBC Quota bill were passed with almost no debate. Article source http://www.indianexpress.com/story/19938.html. Being an effective Lok Sabha MP can mean very hard work. To make things more difficult, MPs do not have budgets available to hire good research staff. The Parliament library offers an important service by providing, at fairly short notice, clippings of recent newspaper articles to MPs on request. But it is left to the MP to sift through the many clippings and distil his or her arguments. What is even more worrisome is that the world’s largest democracy seems to expect MPs to decide on national policy based on newspaper reports. A brilliant observation. The newspapers (read main stream media) influence over law making must be reduced. Debates must be conducted on the basis of available facts. Sometimes these facts are not easy to obtain or analyze. As Mr Madhukar says, all steps must be taken to increase budgetary support to each MP to hire research staff. If you have seen US political TV shows like “The West Wing” – you will know what I am talking about. We need our share of ambitious and young research assisstants too. Most bills in Parliament are passed by a voice vote. So there is not even a record of whether a certain MP was present at the time of the passage of a bill. This seems to be an easy one to fix — the Parliament has the technology that allows MPs to push a button to vote on bills. I am reading quite a bit these days. Very rarely do I come across an article that has me nodding in agreement throughout. They are looking for public participation in their efforts. I will be emailing them shortly to see if there can be an exchange of ideas between the blogger community and this organization. I think this is one of the very few ways the general public can communicate with law makers in India. Future generations will look at the year 2006 as a turning point in the history of India. The OBC reservation policy, as Nani Palkhiwala points out, is the “paramount constitutional issue” today. Everything else, whether it is the economy or foreign policy or taxation, comes later. This was the year the interests of Indians were narrowed even further on the basis of caste. Two bit politicians talked freely about amending the constitution as if it were just a procedural formality. The poor and really depressed were the target of bait-and-switch tactics by politicians and left wingers of all hues. They were used as poster-boys for creating policies that really had no impact on them. The “demo version” showed poor and oppressed people, but the actual law showed creamy layers. The most important takeway from 2006 was the absolute disregard for social data while framing policies. Top rung ministers pooh-poohed even the basic requirement for a community to establish backwardness in a scientific way. When data came out of unexpected sources, the anomalies were striking. These anomalies would be sufficient to start a revolution in any other country, but we Indians are patient. On that note, Happy New Year ! !